Looking eastward from downtown Tucson at the long slope that is Tanque Verde Ridge, there is a conspicuous bump right in the middle of it made of solid rock. Due to its sheer size this is a rock formation that you can only really see from afar, but the sweeping 360 views from on top of it are certainly nothing to sneeze at if you're up for making the journey there. 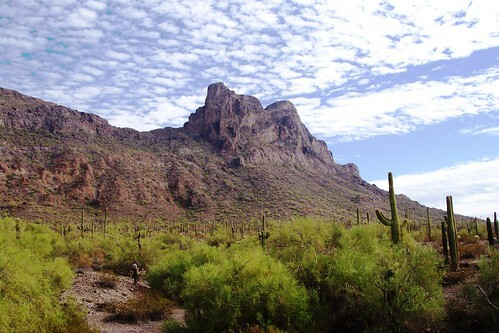 Ventana Canyon offers some of the best hiking in Tucson. Case in point, this is first of two times it is featured on this list. Halfway up the canyon is a series of pools that cascade into each other before dropping over a ledge to create a beautiful waterfall, but to get there you'll have to wind your way through the lower canyon. Though it may not be apparent while you're in it, the lowest stretch of the canyon is decorated with amazing rock spires that make for a striking view as you look down the canyon on the final approach to the pools. When most people set out to make the trek to Seven Falls, they're more interested in the namesake waterfall than rock formations, but that's not to say that they don't exist along the way. 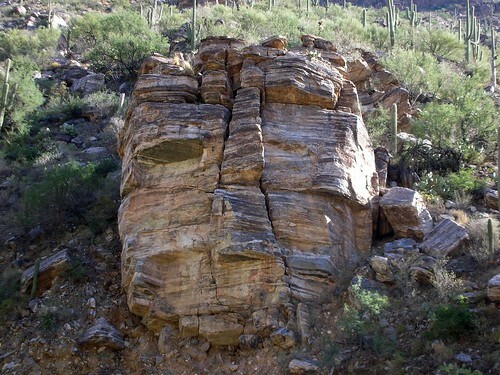 Right at the mouth of Bear Canyon, near the top of the East wall, is a natural rock arch that looks like the trunk of an elephant. It's easiest to spot if you turn around after the third stream crossing on your way in, but it's also visible from the falls themselves if you take a few moments to look for it. Speaking of elephants, the Santa Catalinas aren't the only only range to boast a prominent pachyderm. 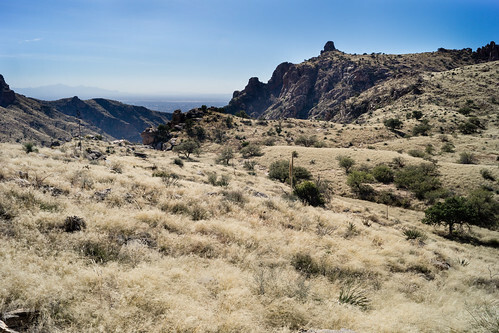 Down south, on the northwest corner of the Santa Rita mountains is an enormous mass of stone sticking out from the mountains like the head of an elephant poking out of the jungle. If you've ever driven from Tucson to Nogales on the I-19 and looked over at a spot that looks like it should be home to Minas Tirith, you've seen the Elephant head. The only thing more awe-inspiring than looking at it from the highway is standing on top of it. 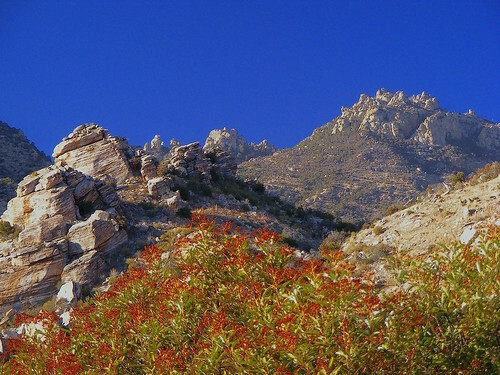 From almost anywhere in the Santa Catalina mountains, you can spot Thimble Peak poking up from the ridge separating Sabino and Bear Canyons. That makes it an excellent landmark and therefore an easily recognizable rock formation. Although it may not be wise to try to get on top of it without rock climbing gear, the view from the base is still plenty amazing. 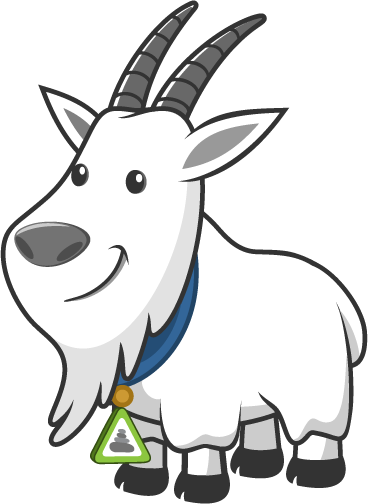 Since there's no official hike to the Thimble, you'll need to use the Build a Hike tool to plot your own route there from the trailhead of your choosing (we recommend Gordon Hirabayashi Prison Camp). 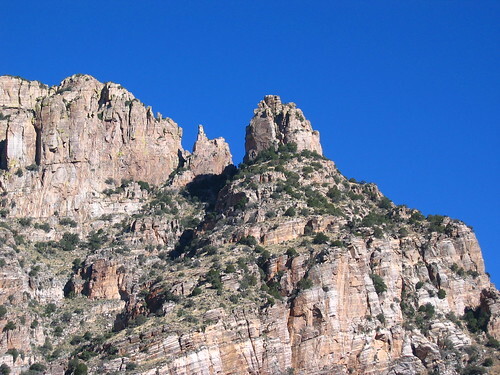 The highest point in the front/south range of the Santa Catalinas is an area called the Cathedral, which is covered in numerous rock towers like a crown of stone atop the peak. 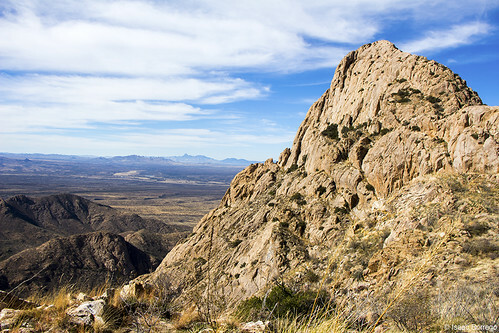 The hike to it is probably the most challenging one that Tucson has to offer and you'll need to use a rope to help you ascend to the top of the highest tower. If you've got an adventurous spirit and an entire day to kill, standing on the top of the Cathedral is a rewarding experience. 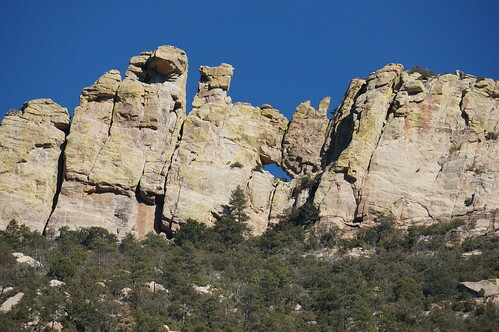 On the Catalina Highway to the top of Mount Lemmon, there is a trail that ascends from the high desert grasslands up into the pine forest and along the way, it takes you past some incredible hoodoos. The magnificent formations can be found along the top of the ridge, shortly before the trail descends towards the Middle Bear Picnic Area and trailhead. Be careful not to stay hidden behind the hoodoos though, because this trail is popular with mountain bikers, who love to fly down it as quickly as possible. Anyone who's looked north from Tucson at the Catalina mountains has probably seen the most iconic rock formation the Old Pueblo has to offer. High up in the front range, the Finger points upward from between a large cliff wall the west and the Finger Guard to the East. You'll need climbing gear to get on top of the Finger itself, but it's possible to scramble your way to the top of the guard. Since the latter is taller anyway, that's where you'll get the best views, both of the Finger and the surrounding landscape. Earlier on this list, we mentioned that Ventana Canyon would be making a second appearance and the Window is the reason why. Way up at the top of the ridge at the very back of the canyon is a hole in the mountain that is big enough to drive a truck through. Spanish for "window" the Ventana trail passes right by its namesake, allowing you to pop off and enjoy lunch right inside of the gap in the rock. If you press on just a little further, you'll be able to do a 180 and get up on top of the Window where you'll find even better views and lots more interesting rock formations carved by the ice, wind, and rain. The Big Rock that fell off of the cliff wall above and came to rest right next to the trail, making for an excellent picnic spot. 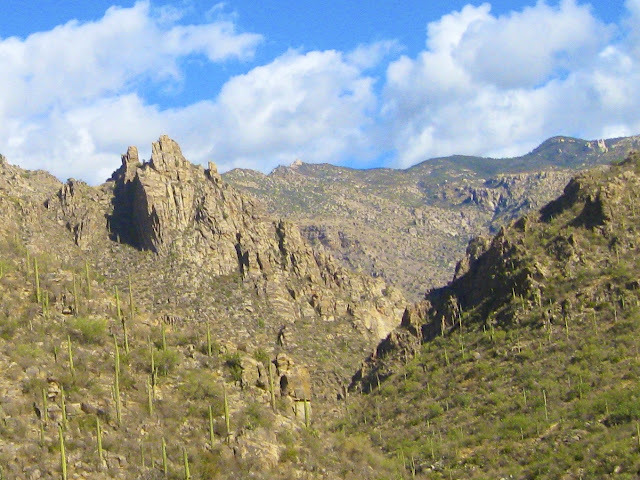 The rocky towers that stick up from a small ridge near the back of Sabino Canyon. A view of Snoopy Rock/Eagle Rock, further back in the canyon. The two anthropomorphisms are actually the same formation and can be seen in the image above of the left side. Some people see Snoopy sleeping on his back, while others see an eagle where the beagles belly is. The Mask at the top of this post, which can be easily seen by using the Build a Hike tool to plot a custom loop hike down the road, or a one-way hike involving a tram ride to or from Stop 8 or 9. However you do Phoneline, it's worth keeping an eye out for all of the cool rock formations along the way, because they are some of the best around. 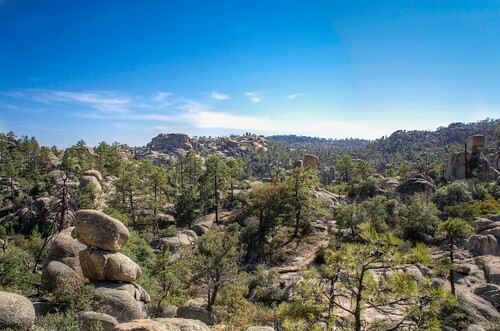 One of the most stunning vistas in the Catalina mountains is just off of the highway. Shortly after mile post 13 you'll find several parking spaces on either side of the road. 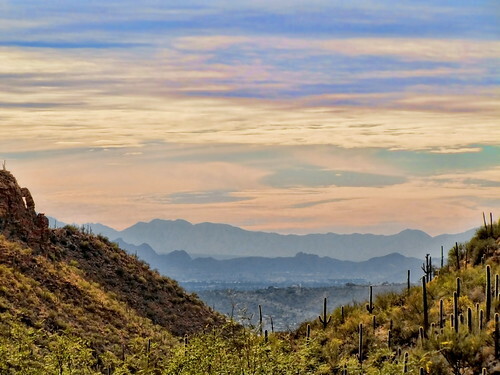 The spot is a popular place for locals to watch the sunset, or just take in a spectacular view of the Sabino Basin and the city of Tucson further out. The Windy point area is littered with hoodoos that add to the mesmerizing experience of visiting the lookout. However, there's not much of a trail to speak of and it wouldn't be more than a quarter mile long if there were. That's why we thought Windy Point was certainly worth a mention, but not deserving of an actual spot on our like of great hikes. 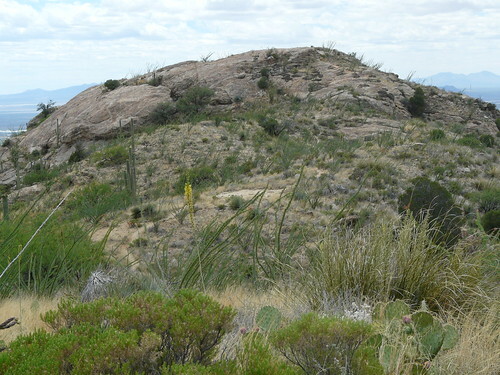 If you've done much hiking in the Tucson area, there shouldn't have been any doubt about which hike would take the top spot on this list. The name of the hike itself is a dead giveaway. 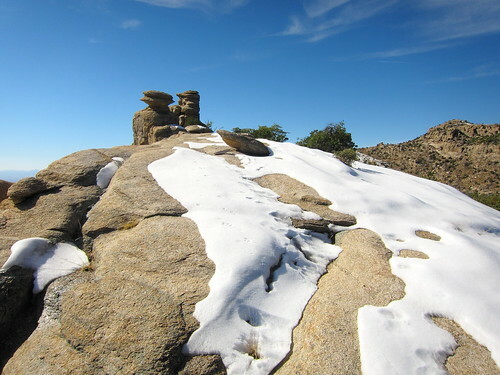 Up near the top of Mount Lemmon is an area of wilderness that is filled with, you guessed it, rocks! If you take the nearly 9 mile loop hike through it, you'll weave through hundreds of hoodoos that look as though someone carefully stacked a bunch of boulder on top of one another like oversized cairns. Besides the hoodoos, you'll also notice a couple of monolithic masses looming above you that are popular rock climbing destinations. There's also a large exposed slab of rock overlooking Romero Canyon that makes for an excellent place to have lunch. 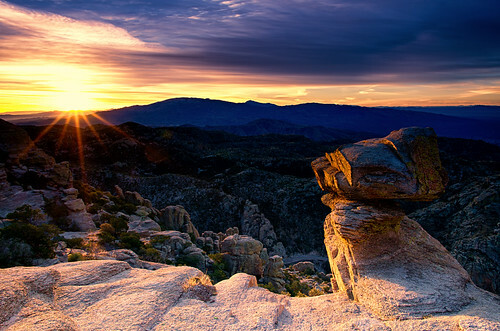 The bottom line is that if you're into hiking and geology, the Wilderness of Rocks is one hike that you simply must do.